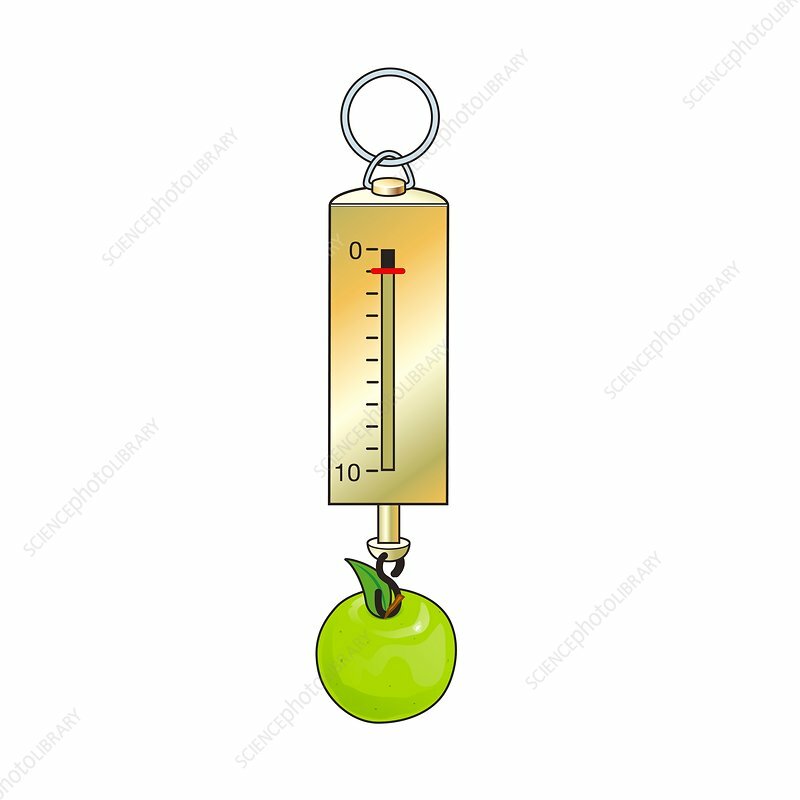 Weighing an apple on a newton meter, illustration. A newton meter uses a spring to measure weight, quantifying it in Newtons (N). Weight is a measure of the effect of gravity on mass. An apple weighs approximately 1 Newton. A falling apple is said to have inspired Newton's work on gravity.